Our taproom is open 7 days a week in the wonderful Columbia City neighborhood and is kid and dog-friendly. We’ve got seats at the bar as well as tables for more private gatherings, all within sight of our brewing operation (and bicycle-powered grain mill!). Although we don’t have a kitchen to call our own, we welcome you to bring food to chow down with your pint. Bring the picnic or choose from 25+ restaurants within easy walking distance! Whether you’re looking for a taster flight to decide what to fill your favorite hometown growler with, a pint while you choose which of our 4 growler sizes to take home, a liter stein of a delicious German-style brew, or a keg for a housewarming party, we’ve got you covered! Need a keg? Contact us for both private and wholesale availability. We offer both 1/6 bbl (5.17 gal, ~40 pints) and 1/2 bbl (15.5 gal, ~120 pints) keg sizes. South Seattle is known for its rich brewing history. 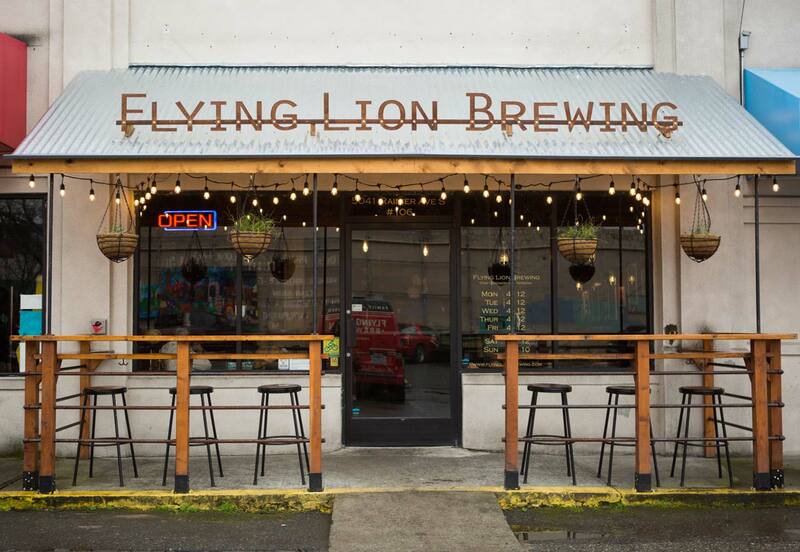 Flying Lion is a proud member and supporter of the South Seattle Brewery Coalition.